Charles Bibbs and Kenneth Gatewood Limited Edition Giclee Print:"Zion"
Edition: Artist Signed and Numbered, Limited to 200/30/60. About the Art: Sequel To Sunshine Collaboration. 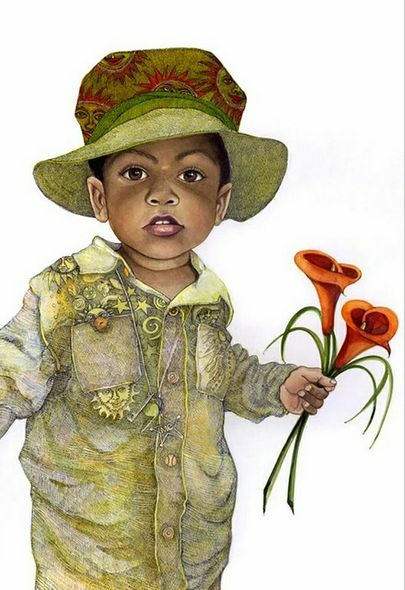 Internationally acclaimed artist Charles Bibbs, whose work is featured in museums, galleries, organizations, and homes of many collectors, displays a deep sense of Spirituality, Majesty, Dignity, Strength and Grace in his images, that is done in a combination of realistic and larger-than-life interpretations of contemporary subjects that are ethnically rooted.